Though it seems that the cost of everything is on the rise, one very important expense that many people have is prescription medication. With millions of Americans in need of everything from painkillers to antibiotics, the demand for top medications continues to climb – sparking the increase in price. As much as prescriptions are, however, most cannot go without them, and instead have to figure out how they can afford them. While there’s likely no chance of getting pharmaceutical companies to drop their prices, there are some measures you could take to reduce your out of pocket costs. Big pharmaceutical brands are always looking to push new products on medical facilities. To get doctors on board for their medication, they will offer them samples of products to provide to their patients. If your doctor prescribes you something new, ask if there are samples you can have. Even if it’s only a few doses, that is less medication you have to pay for. If the medication you need is expensive or you’ll require it long-term you can ask your doctor about other options. There may be more affordable medications they can prescribe or other treatment routes they can take that won’t cost as much. Prescription discount cards are instrumental in helping patients save hundreds of dollars on medication. To find a discount prescription card for you, you’ll want to look for cards that offer discounts on prescriptions you need frequently and that are applicable at pharmacies near you. You’ll want to search for a card that is easy to use, can be used more than once, and gives you the best discounts often. Much like all products sold on the market today, the same medication can be made by various companies. The bigger name brands are going to charge more for their pills, whereas the smaller brands will charge less. When having a prescription filled, ask your pharmacist if there is a generic version you could have filled for less. Many people choose a pharmacy based on its popularity or the fact that they’ve been going there for a long time. However, what most aren’t aware of is that pharmacies charge different prices to fill a prescription. Other factors like availability can also play a role in the cost of your medicine. If a prescription is not easily accessible at the pharmacy you’ve chosen, they’ll charge you more to receive it. 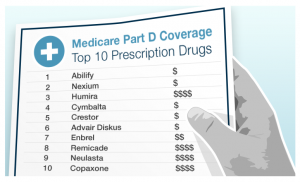 So, instead of just having your script filled anywhere, find out what the cost of the medication is and whether or not they have it available. Did you know that there were coupons for medication? Just like any other industry, the pharmaceutical companies want to attract new buyers and will give them discounts to introduce them to a new drug. Check the internet for coupons you can use at your pharmacy for additional savings. There are some pharmacies, like Walgreens that offers customers an opportunity to sign up for a program known as a prescription club. These clubs provide a lot more than just savings on generic prescriptions, but they also provide discounts on screenings, shots, medical supplies, and more. Going without prescription medication isn’t an option for many people. Though the cost of receiving such treatment doesn’t come cheap, there are ways you can reduce the overall cost. If you’re dealing with extreme financial difficulties, you may be able to apply for government assisted medical health coverage to help with the cost of most of your medical needs. Kidal Delonix is a contributor to Mr. Hoffman's blog. The views and opinions are entirely his/her own and may not reflect Mr Hoffman's views.